Although almost every household owns a computer, but the writing still takes part physically with pen and paper. However, it is often difficult to transfer the notes digitally without leaving an unorganized picture-mess on our smartphones. So what’s the alternative? 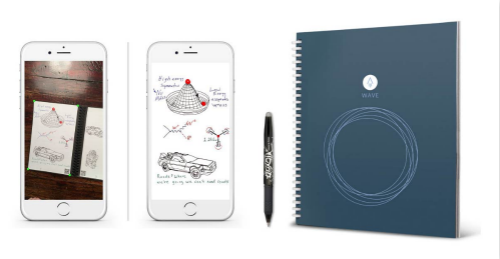 In comes the Rocketbook Wave smart notebook, where physical meets digital! The Everlast notebook provides a classic pen and paper experience, yet is built for the digital age. Although it feels like a traditional notebook, the Everlast is endlessly reusable and connected to all of your favorite cloud services like Google Drive, Dropbox, Evernote, iCloud and more. When you write using any pen from the Pilot Frixion line, your writing sticks to Everlast pages like regular paper. But add a drop of water, and the notebook erases like magic. OR! 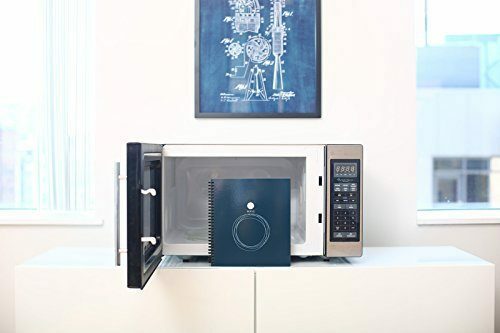 You can get the Rocketbook Wave notebook, and all you need to do is pop it into the microwave oven with a cup of water and your notes will be erased in a heartbeat. The price of this world’s first smart notebook is only HK$219 and you can choose one of more than 100 pick-up locations!